Since many of our patients experience cancer, supporting the American Cancer Society is just one way we try to show our support for our patients. The Hall County chapter of the American Cancer Society is very successful each year with its fund raising effort. 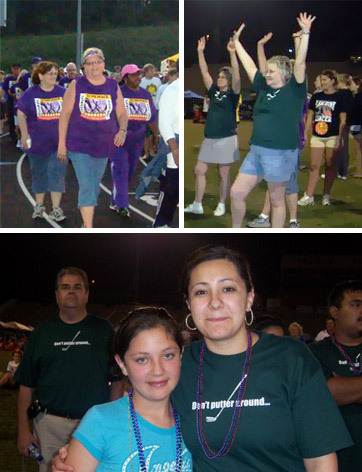 Northeast Georgia Surgical Associates joined the fund raising efforts last year and raise over $3000. Our Relay for Life team also won one of the "Spirit" awards which was surprising for a "first year" team. We will continue to support the American Cancer Society in 2009 increasing our commitment to the fund raising effort and fully participating in the Relay for Life event in June.